RMK fans! 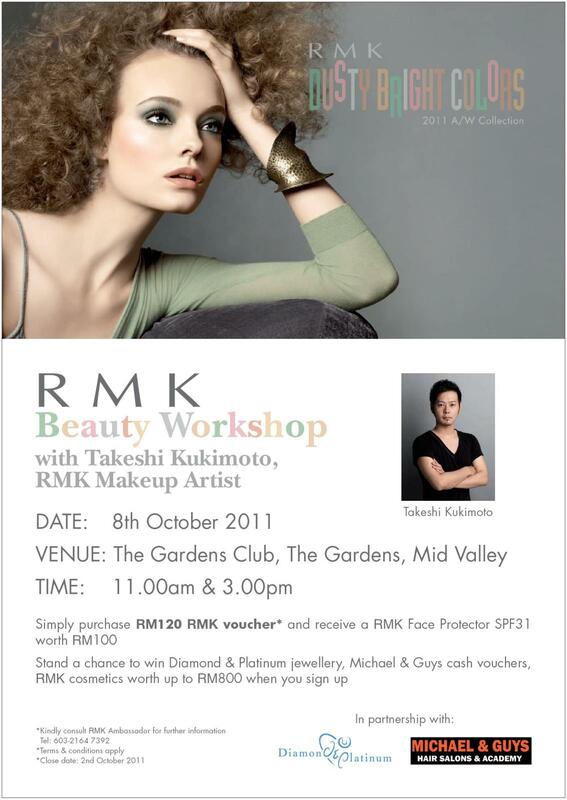 Check out RMK's latest fall/holiday collection by signing up for this workshop at RM120! You get a free RMK Face Protector SPF31 (worth RM100) when you purchase the the RM120 RMK voucher to participate. You might also win fabulous gifts from this workshop too! just call RMK up 03-2164 7392 to inquire.